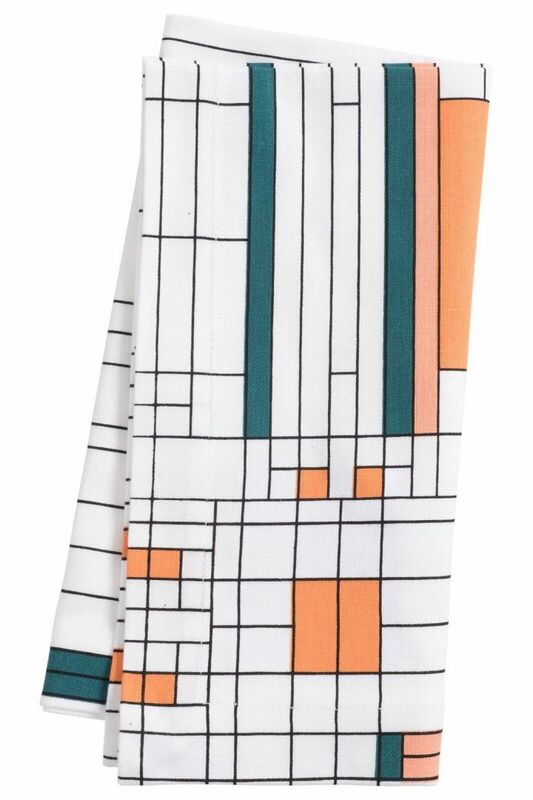 This 100% cotton napkin has a beautiful and elegant printed design inspired by the work of Frank Lloyd Wright. Soft to the touch and featuring mitered corners, this napkin will add elegance to any setting. ‘Oak Park’ is an iconic glass window design from a skylight at Wright’s 1895 Oak Park Home and Studio.